Adding more than just a warm glow to you living area, the beautifully elegant black pendant shade will bring a sophisticated feature to your room. 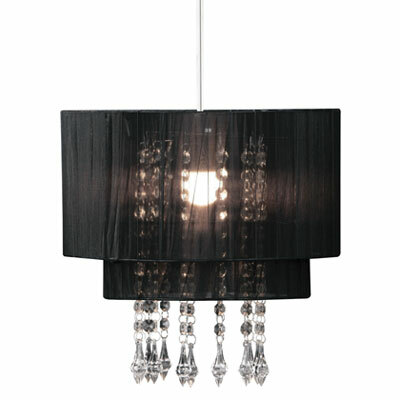 Made from fine black voile, it entices the light to radiate through for a soft glow. Acrylic beads suspend effortlessly like water droplets accentuating the style of the shade. The chic look of the shade will enhance your living area or hallway complementing most decors.